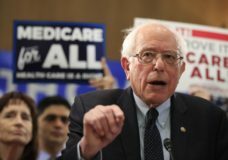 WASHINGTON — Sen. Bernie Sanders launched a revamped “Medicare for All” plan on Wednesday, highlighting a divide among Democrats over one of their bedrock 2020 campaign issues — the future of health care in America. WASHINGTON — Amid blowback from Capitol Hill, President Donald Trump switched gears again Wednesday, suggesting he never wanted Congress to vote to replace the Affordable Care Act until after the 2020 election. WASHINGTON — A federal judge has struck down a small-business health insurance plan widely touted by President Donald Trump, the second setback in a week for the administration’s health care initiatives. WASHINGTON — The Trump administration has told a federal appeals court it wants the entire Affordable Care Act struck down, an outcome that could leave millions uninsured and re-ignite a winning political issue for Democrats. WASHINGTON — A federal judge’s ruling would, if upheld, wipe away the entire Affordable Care Act, the health care overhaul championed by President Barack Obama and twice sustained by the Supreme Court. WASHINGTON — Forget “Obamacare.” President Donald Trump has found a new target when it comes to ideas from the Democrats for the nation’s health care system. WASHINGTON — What a difference a year makes. From predicting that the Affordable Care Act would “implode” and “explode,” President Donald Trump is now claiming credit for modest average premium increases expected next year. WASHINGTON — In a major policy shift that could affect millions of low-income people, the Trump administration said Thursday it is offering a path for states that want to impose work requirements on Medicaid recipients. 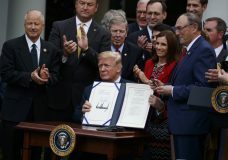 WASHINGTON — Striving to fulfill a campaign promise, the Trump administration moved Thursday to facilitate the interstate sale of health insurance policies that cost less but may not cover as much. 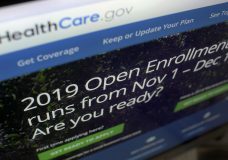 WASHINGTON — More than 8.7 million people signed up for coverage next year under the Obama-era health care law, the government reported Thursday, as the program that President Donald Trump has repeatedly pronounced “a disaster” exceeded expectations. A new poll finds that Americans are increasingly concerned about health care, and that their faith that government can fix it has fallen. WASHINGTON — President Donald Trump has prematurely declared “Obamacare” dead and displayed a misunderstanding of where the money comes from to make the health law work.